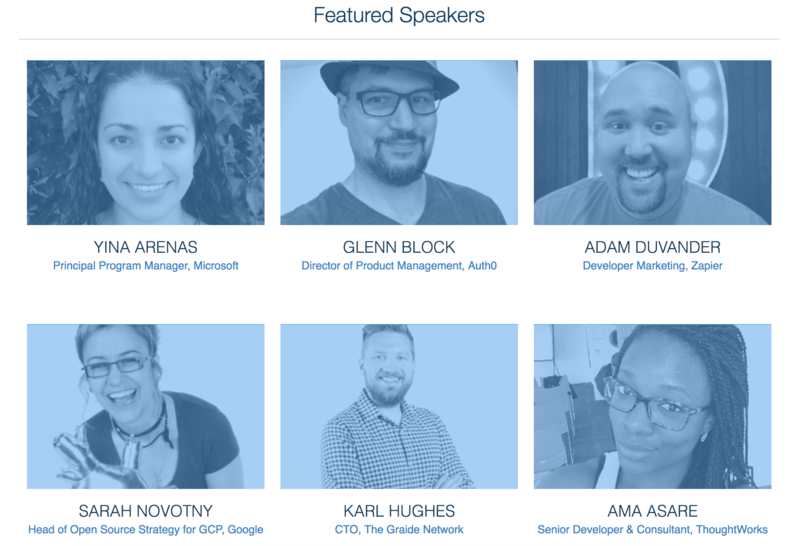 This year I’ll be speaking at the Linux Foundation’s API Strategy and Practice conference, but I’m not just excited to go as a speaker. There are some great looking sessions on the schedule, so I figured I would take some time to highlight the talks I’m most excited about this year. If you’ve got others I should look out for, let me know about them on Twitter. I’ve been considering a more sustainable redesign of our API interfaces at The Graide Network, and JSON Schema seems like a good standard to adopt. I’m looking forward to hearing more about it from a developer who’s implemented it at a larger company like Google. This is basically what I’ve been doing for the past year at The Graide Network. Ryan’s experience sounds very similar, so I’m hoping to hear how he’s been doing the refactor at BioBright and how it might help us in our journey towards microservices. “Serverless” is a buzzword, so while I take any talk about serverless applications with a grain of salt, I do see a lot of potential in this method of application development. I like the idea of moving more infrastructure responsibility to third party services, so hopefully this talk will give me a usable strategy for making it happen. I’m a big nerd for testing and testing architectures - that’s what my talk is about after all - so this one from Ama and Danilo at ThoughtWorks sounds like it will be right up my alley. I’ve never heard the term “Contract Tests” before, but I’m guessing it’s similar to my method of integration testing service connections. I guess I’ll see. I’m not very experienced in Machine Learning or Artificial Intelligence, so this talk sounds fascinating to me. I know that there’s a lot of potential for this kind of application and the tools are getting much better, so I’m really looking forward to what Randall has to say on the topic.